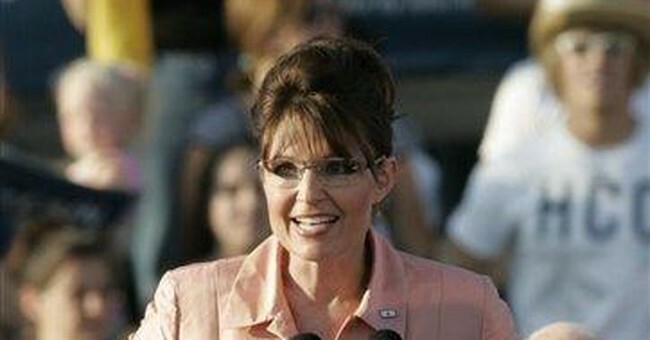 Senator John McCain's pick of Governor Sarah Palin to be the GOP vice presidential nominee is historic. Coupled with the GOP platform he enthusiastically embraced, Mr. McCain has completely changed the game, and put Senator Barack Obama in a difficult situation. The Obama campaign has already erred by attacking Mrs. Palin as inexperienced. The attack backfires against Mr. Obama in two ways. First, people understand that it's unfair to compare the presidential candidate of one party with the vice presidential candidate of the other. Mr. Obama's opponent is Mr. McCain, not Mrs. Palin. It is the president who makes life-or-death decisions for the country. The phone rings at 3 a.m. in the East Wing of the White House, not the Naval Observatory where the vice president resides. It is a disastrous mistake for Mr. Obama to raise the experience issue. Mr. McCain's experience in national security exceeds Mr. Obama's by orders of magnitude. Second, Mrs. Palin has more executive experience than Mr. Obama. A governor does a lot in two years. And speaking as the former mayor of a major U.S. city, her years as mayor of Wasilla, Alaska are full of executive experience. Is she as experienced as Bill Clinton or Ronald Reagan when they first ran for president? No. But she is more experienced than Mr. Obama. For that matter, Mrs. Palin has more executive experience than the entire Democratic ticket. Her opponent is Mr. Biden, not Mr. Obama. And in all of Mr. Bidens years legislating, hes never made an executive decision. Even before he was in public life, he never held a job that required him to make leadership decisions. Between Messrs. Obama and Biden, they've never run a corner store, to say nothing of troops. So if I were them I would not want a comparison with the commander-in-chief of the Alaska National Guard, Mrs. Palin, staring across a narrow strait at Vladimir Putins Russia. The nature of Mrs. Palin's experience is also important. She's a reformer. She has taken on corruption in her own party, and people are now out of office in Alaska because of her crusade to clean up that state. She even challenged the sitting Republican governor of Alaska, Frank Murkowski, and beat him in the GOP primary to restore integrity to Alaska state government. This focuses part of the presidential campaign on reform, and shows that Mr. McCain would press for reform, no doubt with Mrs. Palin in a leading role. Her efforts in Alaska mirror Mr. McCain's in Washington DC. And at least once they intersected. When Washington sent Alaska that absolutely-disgraceful "bridge to nowhere," Mrs. Palin refused the federal largesse, saying if Alaska wanted an expensive bridge they'd pay for it themselves. Contrast that with Messrs. Obama and Biden not joining Mr. McCain's call to end all earmarks in federal spending, and you have a comparison that the GOP welcomes. Less heralded, Mr. McCain has embraced a solidly conservative Republican Party Platform. As a platform committee vice chairman, I can attest to the document's conservative foundation. It is the most pro-life platform in national party history. And it is a sterling commitment to the sanctity of every human life. His choice of Mrs. Palin shows his commitment to those bedrock moral principles, as she is living proof of a commitment to life. Many now know that she gave birth to a son whom she knew since the fourth month of pregnancy would be born with Down's syndrome. She chose to have the baby. And with words that should move many to tears, she said that when she looks at her baby boy, "I see perfection." I doubt Mrs. Palin would ever say a question of fundamental belief is above her pay grade. Mr. McCain said in a Sunday interview that the McCain-Palin campaign can be summed up in three words: reform, prosperity, peace. With Mrs. Palin and the platform, Mr. McCain is positioned to run a strong and vigorous campaign against Mr. Obama. And the nation is in for one of the most fascinating elections in quite a while.